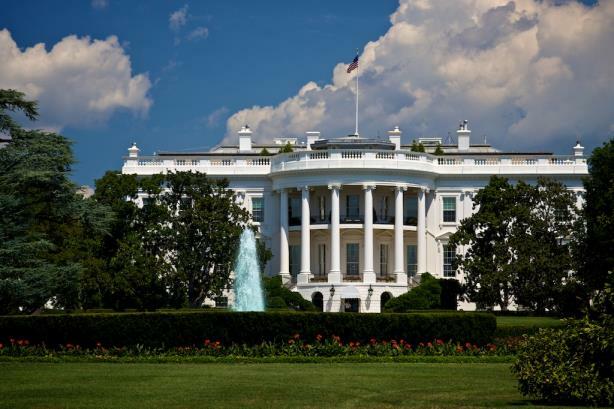 The communications freeze could be attributed to a new administration getting settled. Or it could be a sign of more tensions ahead between the press and the White House. In the days after President Donald Trump’s inauguration, some government agencies abruptly stopped communicating with the public and media via social platforms or by issuing press releases. Although public affairs experts say a temporary freeze is normal during a change in administrations, some are concerned about the tone it could set for the rest of Trump’s term. press releases, blog posts, and social media early this week. The Departments of Agriculture and Transportation have imposed similar policies since Trump took office, though the USDA rescinded its order on Tuesday. The blackouts only added to the skepticism many public affairs professionals have about how the Trump administration will communicate with the public. Those concerns were fueled by a rocky Saturday press conference at which White House Press Secretary Sean Spicer angrily chastised the media over its reporting on the size of the crowd at Trump’s inauguration. "This is not a positive sign of how communication will flow from federal agencies back to the American people," says Marissa Padilla, VP at Global Strategy Group. "It’s a dangerous precedent to set, and shutting down that access does a disservice overall. As American citizens, we expect our government to operate in a very transparent and open way." The EPA and Transportation Department have not tweeted since the day before the inauguration, though the USDA resumed normal social media use on Wednesday. Government agencies use Twitter to disseminate crucial information, like recalls, regulatory updates, and research. The EPA, for example, tweets about climate research and federal investigations like the Volkswagen emissions scandal. The account also offers tips for avoiding harm during natural disasters, like how to prevent mold after flooding or the safe use of generators during a hurricane. Spicer said Wednesday that the White House did not direct the EPA to halt social media communications. He explained that the agencies’ own officials have asked staff to "adhere to their own policies." The communications freeze could be attributed to a new administration getting settled, says Joe Householder, EVP at Hill+Knowlton Strategies. "What may or may not be odd is the scale of [the communications freeze]," he says. "A lot this is a matter of agency heads coming in and a change in the political alignment of the administration. You have a natural instinct as a manager to say, ‘Let’s sit down and get a handle on our messaging and how we're controlling it.’"
The transition between the Obama and Trump administrations was also the first time virtually every government agency handed over the usernames and passwords for a host of social media accounts to their successors. When President Barack Obama took office in 2009, many government agencies didn’t have Facebook or Twitter accounts. For example, the Transportation Department’s Twitter handle wasn’t created until 2011. "We’re in a very different communications environment now," explains John Procter, EVP at Signal Group. "We're seeing this unfold in a much more accessible way than what a pause in press releases might have looked like eight years ago [when Obama took office]." The president himself knows the power of social media, using his Twitter account frequently during the campaign to push his own point of view and to ridicule political opponents. Since his stunning election win, Trump has regularly used his account to drive the day’s news cycle with early morning tweets. "He used it as a direct outlet to communicate with Americans on the issues he stood for," says Padilla. "It’s troubling that one of his administration’s first steps is to restrict that access to government." Since Trump took office last Friday, much of the attention on government social media use has focused on the National Park Service and Twitter accounts for individual national parks. The Park Service’s staffers were reportedly told to stop tweeting on Inauguration Day, shortly after it retweeted images showing the crowd sizes at Trump’s swearing-in and Obama’s eight years earlier. The National Park Service later deleted the tweets and apologized after the Interior Department ordered a shutdown of all social media. "Any large organization is going to have to worry about brand discipline and message discipline, and the federal government is no different," Procter explains. "Just like any large organization, message discipline and brand discipline are directed by the top." The disconnect between the White House and some social media staffers continued this week, with the account for Badlands National Park tweeting climate-change facts seemingly in defiance of the Trump administration’s position. Those messages were deleted, but not before an @AltUSNatParkService account appeared, calling itself "the unofficial resistance team of the U.S. National Park Service." On Wednesday, the accounts for Golden Gate and Redwoods national parks both tweeted climate-change messages. Death Valley National Park posted images of Japanese-Americans interned during World War II, which some media outlets interpreted as a statement against Trump’s plan to stop Muslims from entering the country. Housholder warns that government employees going rogue could become more common if the White House clamps down on their communications tools. "If the administration doesn't get more comfortable with its people, they are going to see more of that for sure," he says. "You might see climate scientists taking the administration on and it’s now going to be done in a very public way." Poll: Are you concerned about government social media and press release blackouts?